Nickel Alloy 201 Round Bar, Nickel UNS N02201 Bar, Nickel Werkstoff Nr. 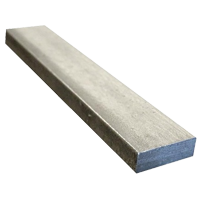 2.4068 Round Bars, Alloy 201 Bar, Nickel UNS N02201 Round Bar, Nickel Alloy DIN 2.4068 Bar, Nickel N02201 Rods, Nickel 201 Bar Supplier in Mumbai, India. Specialist of Nickel Alloy 201 Forged Bar, Alloy 201 Flat Bar, Nickel Alloy 201 Hex Bar, 201 Nickel Alloy Square Bar, Nickel 201 Hot Rolled Round Bar, ASME SB160 Nickel N02201 Rods, Stockist of Nickel 201 Round Bar, N02201 Black Bar, JIS NW 2201 Flat Bar, ASTM B160 Nickel 201 Bars, ASTM B160 Nickel 201 Bright Bar, Alloy 201 Cold Rolled Round Bar, Leading Supplier of Nickel 201 Hollow Bar in India. Nickel 201 Bars are made of alloys that are used in contact with hydrofluoric, fluorine, and other derivatives. They show high resistance to alkalis due to outstanding physical and chemical properties. The behavior of the bars is excellent due to improved resistance and prevention due to corrosion. They are best in contrast with copper-based alloys. They are used with mineral acids, hydrochloric acids and dilute solutions. Nickel Bars and rods decrease the rate of corrosion in oxidizing conditions. Because of its qualities, they are used in equipment industries. 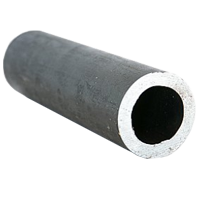 They are extensively used due to temperature strength, special magnetic, and corrosion resistance. The alloy of nickel is widely used as nickel is considered one of the versatile elements that are used to increase material harden ability. The ASTM B-162, AMS 5533 and ASME SB-162 are some of the known standards. They are commonly used for containers and piping applications. The nickel bars are also referred as the nickel alloy 201 Bar, UNS N02201 Round, and WNR24068 Bars. The customized thickness precisely impart international quality standard to the material thus making it an optimum. They are Available in ASTM, API and ASME dimensions. Some of the common finishing colors are black, polish and bright. Round, Rectangular and flat are its forms. The estimated size is 15 to 150 NB In. They are highly appreciated due to its standards and optimum quality. The Jaiman Metalloys LLP distributors provide all the important details regarding the Nickel 201 bars. Form : Round, Square, Hex (A/F), Rectangle, Ingot, Forging Etc. Nickel Alloy 201 Bar are extensively applied in extremely corrosive conditions in the below Industries.